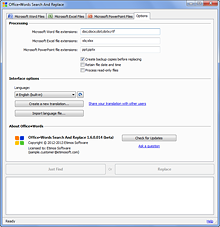 See how Office•Words can update your files full steam ahead saving your working time! 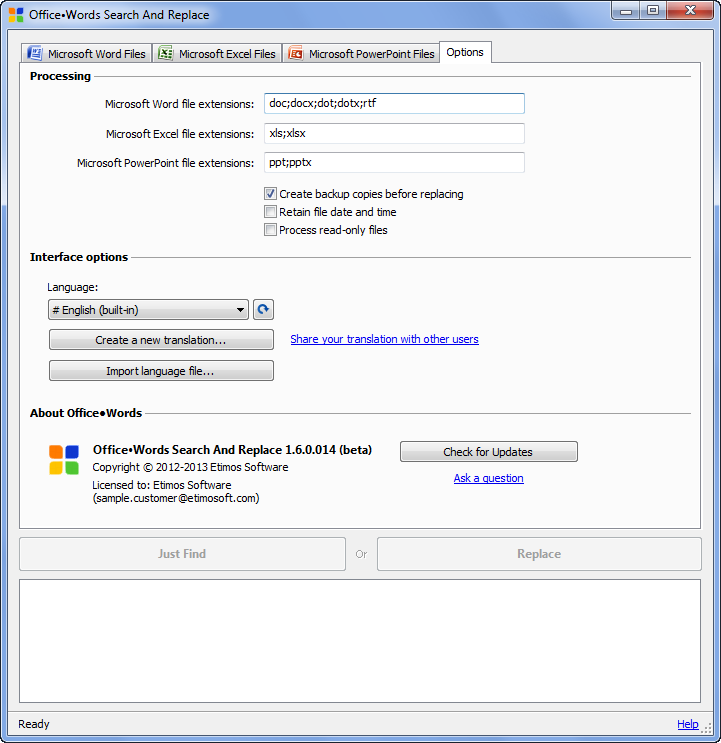 Office•Words Search and Replace finding Word files containing specified text in specified areas. 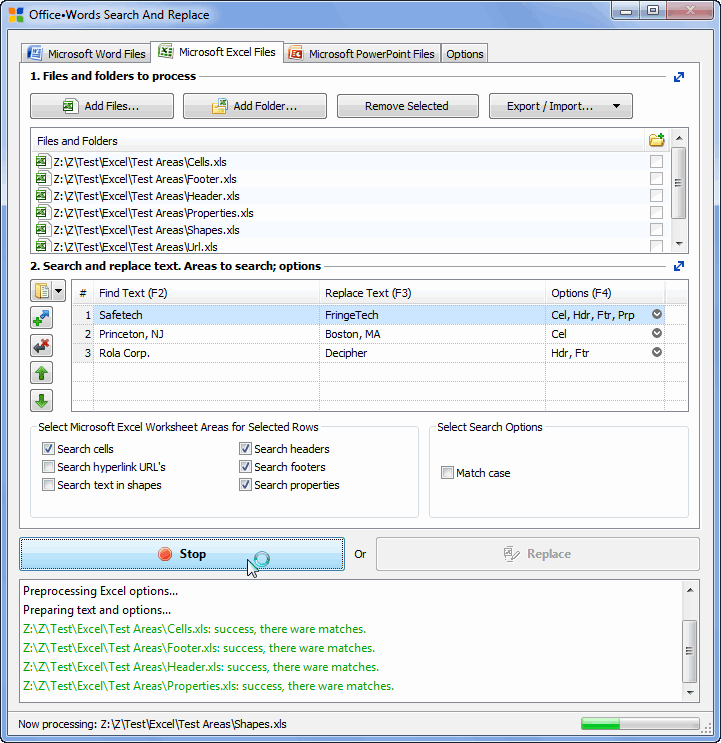 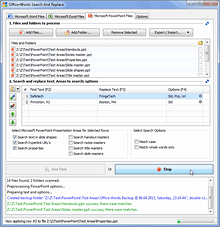 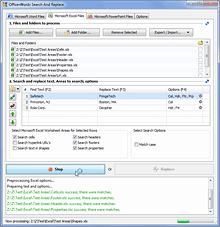 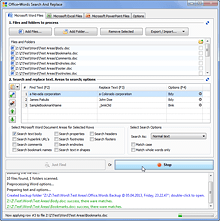 Office•Words Search and Replace finding Excel files containing specified text in specified areas. 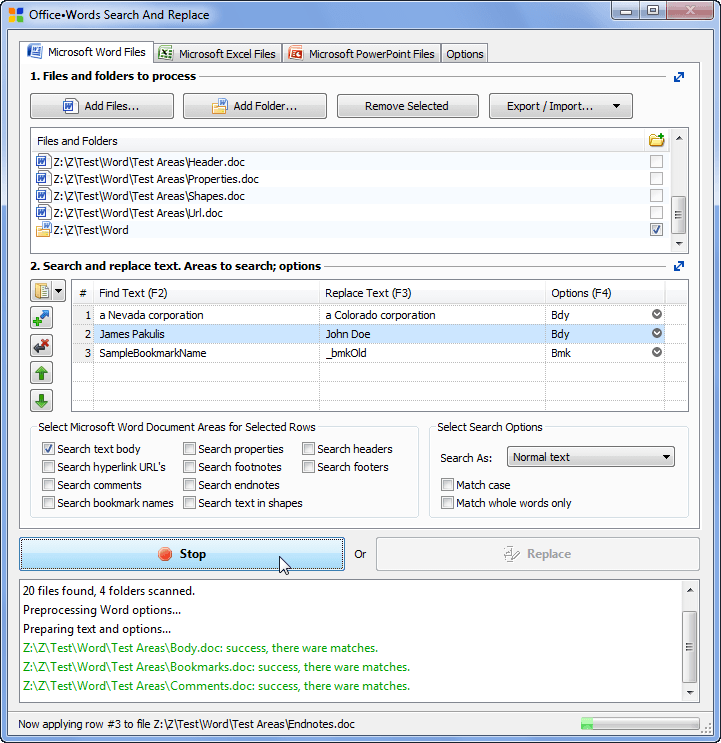 Office•Words Search and Replace Options pane. 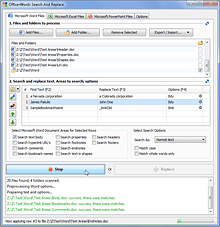 Office•Words Search and Replace editing Word files by searching and replacing text in specified areas. 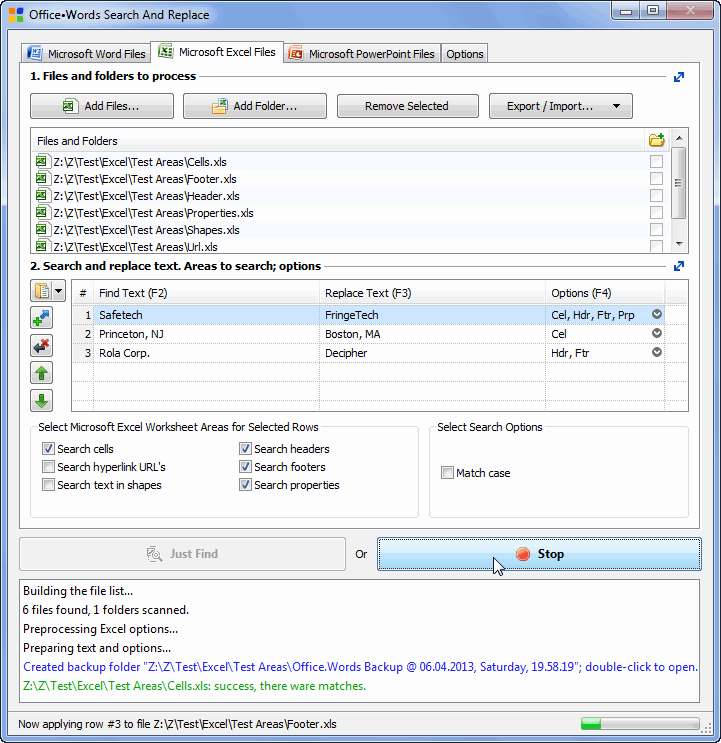 Office•Words Search and Replace updating Excel files by replacing text in cells and other areas. 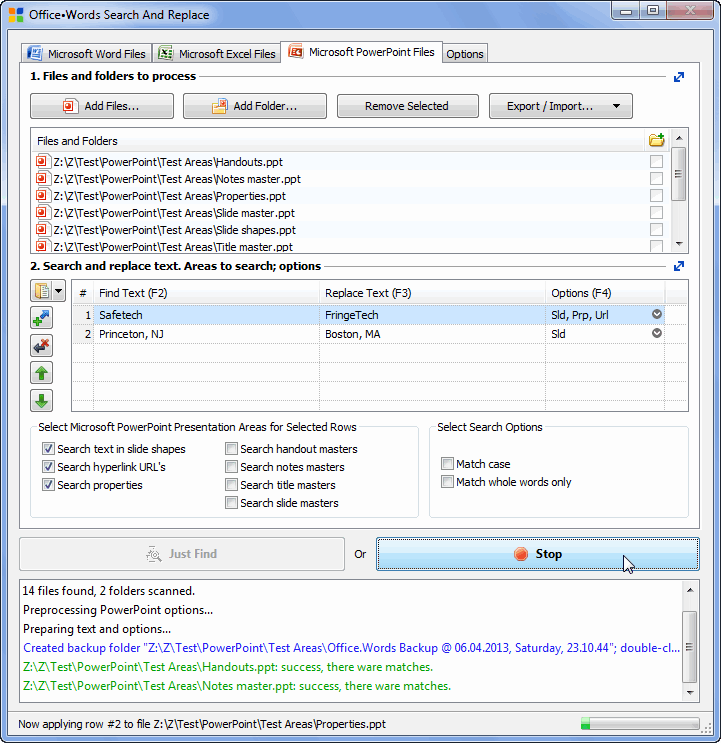 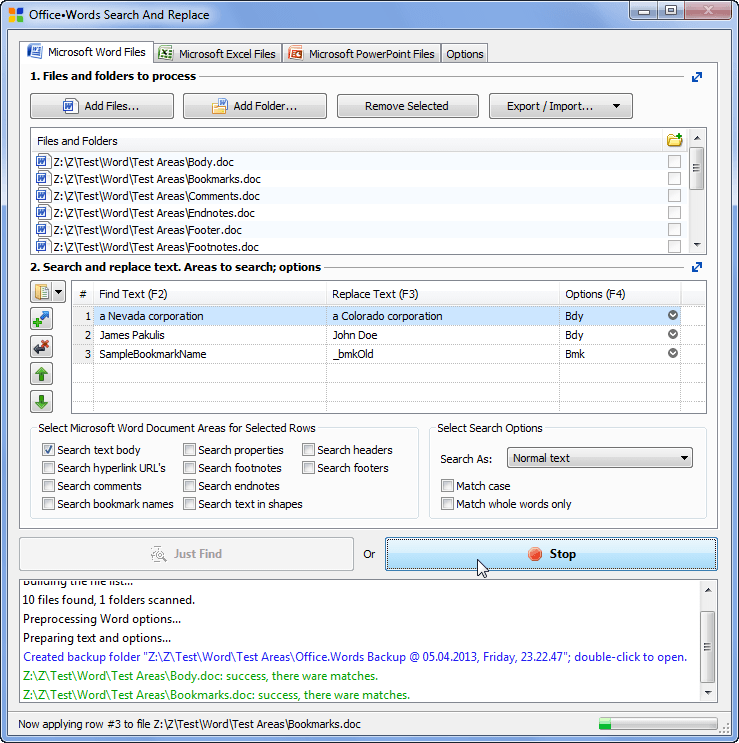 Office•Words Search and Replace processing PowerPoint files by searching and replacing text in slides and other areas.